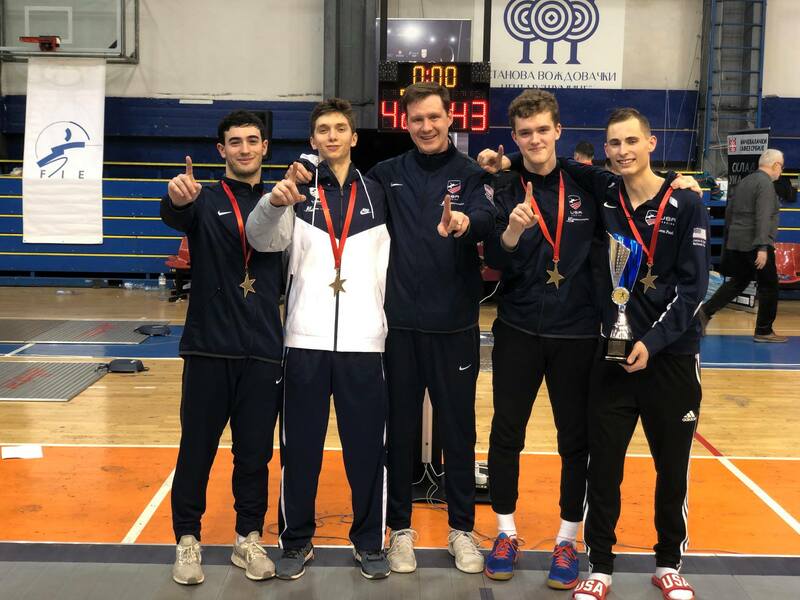 Brooklyn, NY (March 20, 2017) – Brooklyn teens who compete for the New York Fencing Academy (NYFA), earned two team gold medals at the largest North American Cup (NAC) of the year. 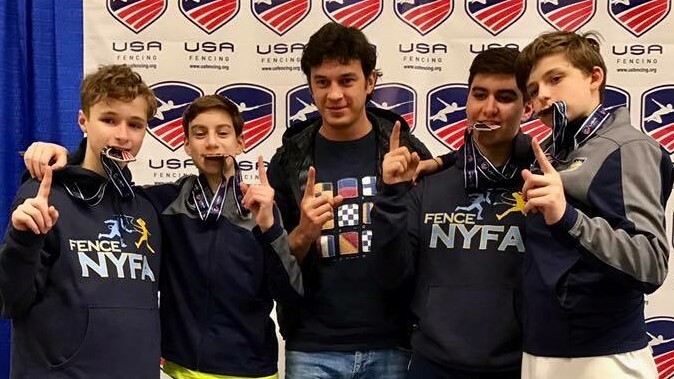 Over 1,600 top fencers converged on Cleveland, Ohio last week, including the #1 seeded Y14 (14 year old age category) boys epee team from NYFA. 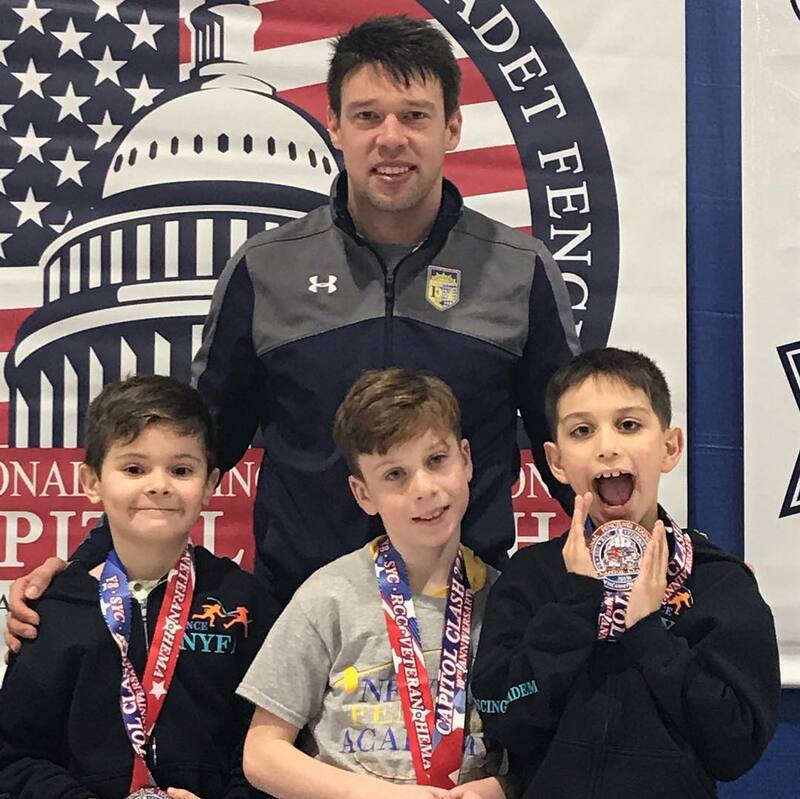 Mark Dolgonos and Ethan Kushnerik from Mill Basin, Jack Kambeseles of Bay Ridge, and Skyler Liverant from Prospect Heights, won their opening match 45-32 against Hooked on Fencing from Northern Ohio. Next they faced a very strong team from Canada that included a NAC silver medalist. 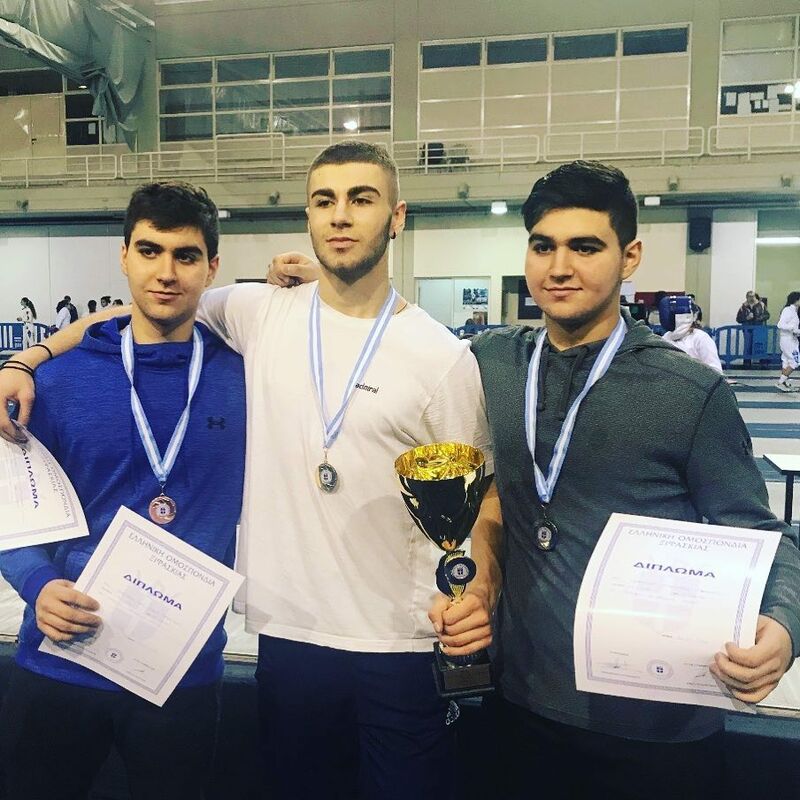 They strategically went into deep defense against Canada’s leader and gained points off of Benedek Szabo and Alexander Androsyuk. The boys from Brooklyn held a consistent lead and won 45-41. They were unstoppable going into the final match where they confidently scored 45-31, earning the club’s first gold medal of the weekend. The NYFA Y14 girls team also entered their competition seeded first in the US. Bensonhurst sisters, Jaclyn and Caralina Khrol, Nadia Gaberkorn from Mill Basin, and Jordan Liverant of Prospect Heights, took the opening match against San Diego Fencing Center with a decisive win of 43-25. Next, they faced the second-tier team from Alliance Fencing Academy of Houston, Texas. Alliance is their biggest competition, but the NYFA girls didn’t give them a chance, beating them 45-26. 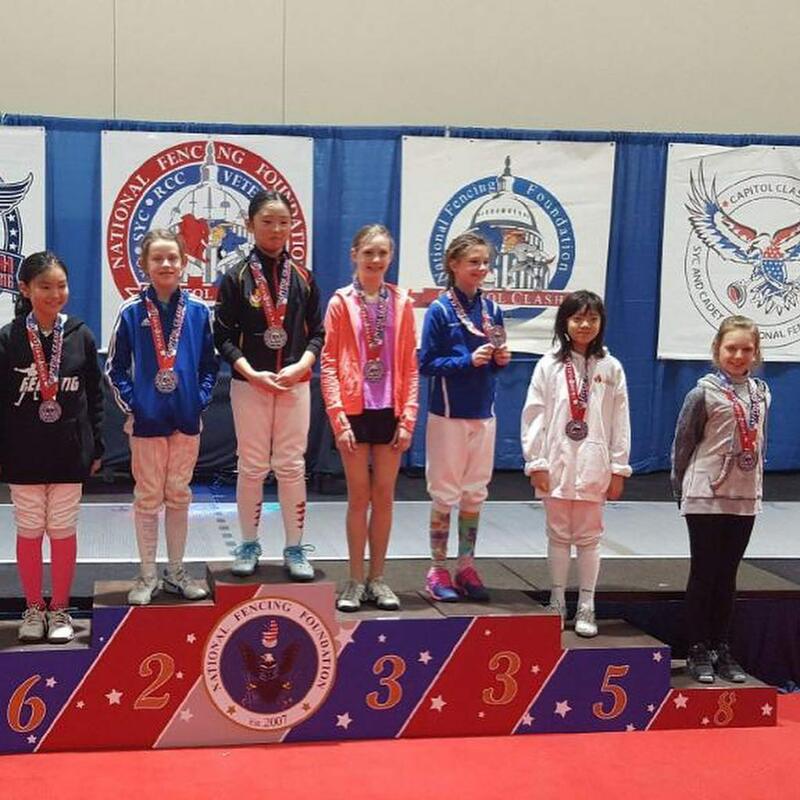 In the final match, NYFA faced a real challenge with Alliance’s first team, which included Ariana Rausch, a Junior Olympic silver medalist, and two more strong fencers. NYFA’s anchor, Jaclyn Khrol, who was the Summer Nationals Champion and North American Junior finalist, started off with a tough loss of 2-5. Then Caralina Khrol also lost her match 2-5 against Rausch, putting the team in a dangerously weak position at 4-10. Liverant picked up the fight and won her match 8-5, reducing the deficit to 12-15. Next, Gaberkorn lost her match 2-3, putting the team score at 14-18. This is where anchor, Jaclyn Khrol, proved her mettle, winning her next match 11-3 and pulling the team ahead to 25-21. Liverant faced Alliance’s anchor, Rausch, and held the team’s lead at 30-28, despite losing 5-7. With a slim two point advantage, NYFA’s girls moved into the last three matches – the most important and final round. Caralina Khrol was up first and since neither fencer wanted to risk an attack, no points were scored. Now the pressure was on Liverant to try to widen their lead in the second to last match, knowing that teammate, Jaclyn Khrol would have the final showdown against Rausch whom she previously lost to in individuals. Liverant delivered a 10-5 win which put team NYFA seven points ahead of Alliance at 40-33. Finally, Jaclyn Khrol faced off against Rausch and won 5-4, for a final team score of 45-37 and NYFA’s second NAC gold medal. Mark Dolgonos – bronze in Division 2, an adult competition. Dolgonos is only 13 years old. Ian Goldfine – 5th in Y10. Goldfine also earned top 16 in Y12 even though he is only 10 years old. 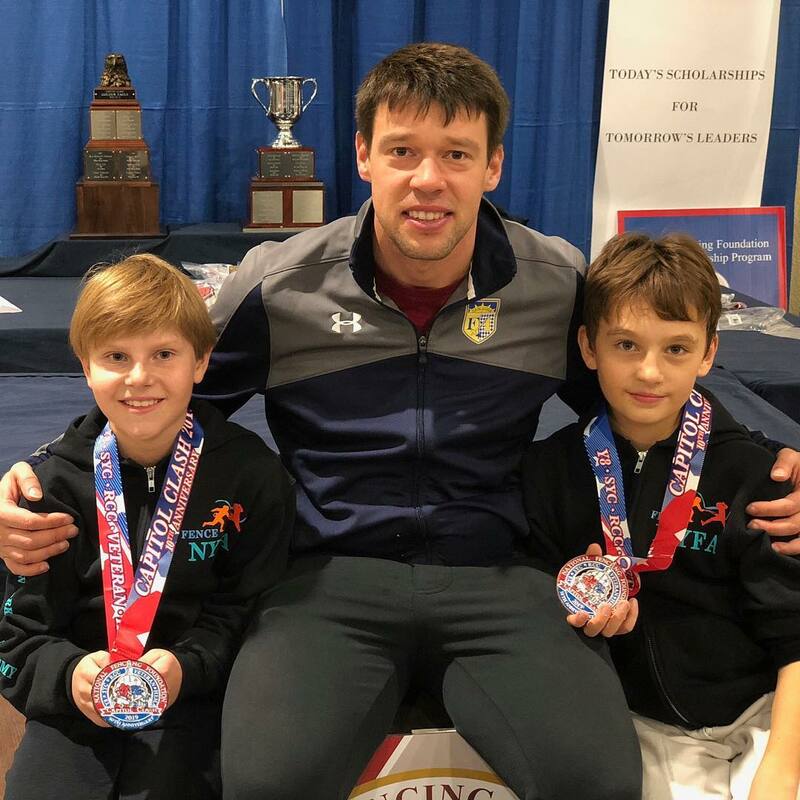 New York Fencing Academy (NYFA) was founded in 2010 by owner and head coach Misha Mokretsov and is located in the Coney Island neighborhood of Brooklyn, NY. NYFA has quickly become a center for excellence in epee, with one of the strongest competitive epee programs in the country. 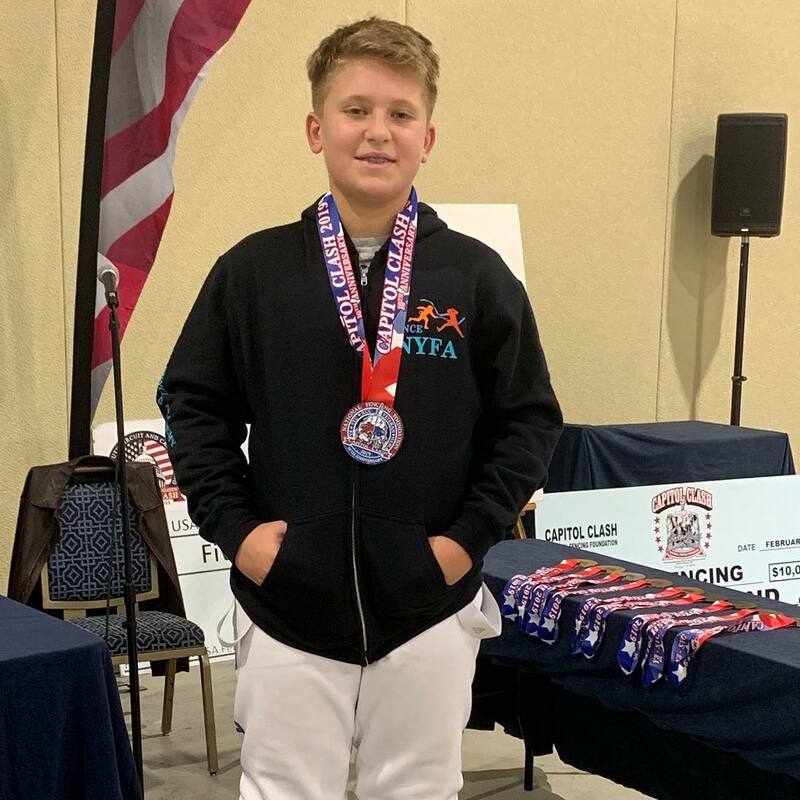 NYFA has already produced National and World Champions, and has members on the French junior national team and the USA cadet national team. NYFA provides private lessons, group classes, and camps for students of all ages and all levels, beginners to advanced. Visit www.fencenyfa.com for more info.